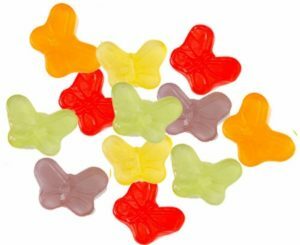 Mini Gummy Butterflies: These beautiful gummies fly off our shelves during springtime! They’re great when eaten alone or used to top off cupcakes. Movie Theater Candy Gift Tub: Does she love watching films? Surprise her with this tub stuffed with boxed movie theater candy! Custom Candy Bar Box: We hope you know all of her favorite candy bars, because you can surprise her with 24 of them! Hershey’s Gift Tin: Classic Hershey’s milk chocolate, PayDay, Take 5 and more! This gift tin includes all her Hershey’s favorites. Non-Chocolate Gift Tin: Does she love non-chocolate candy? These sweet variety of Twizzlers, Starbursts and more will cater to her tastes. 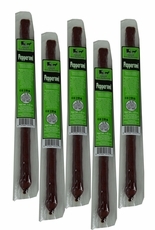 With 30 sticks snacks per unit, these snacks are only about $1 each. Why spend double when purchasing them individually at your grocery store? In addition to these delicious meat snacks, Blair Candy has the classics you love and the treats your kids love to find in their lunch boxes. Browse our ever-growing selection!